The Bryan Dental Group treats its patients with the latest in modern dental equipment and services. 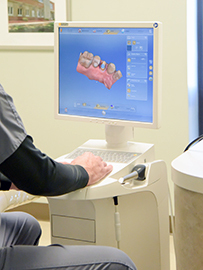 Our panorex (panoramic x-ray machine) helps provide a complete oral examination. The digital x-rays from the panorex show all the teeth and gums in a patient’s mouth at once. 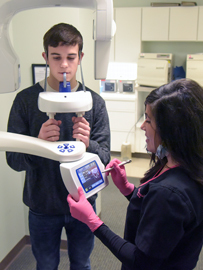 Our intra-oral cameras assist in patient examinations and education. 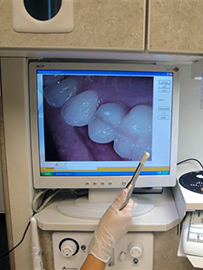 This device is like a video camera inside the mouth and shows the condition of the teeth and gums with close-up images. Our staff uses autoclaves (heat sterilization machines) to sterilize all dental instruments. For your protection, we adhere to the strictest OSHA guidelines. Today’s crowns are not just made of gold. We also offer all-white crowns that blend with your natural tooth color to create a beautiful smile. We now have the technology to complete crowns in one appointment. Dental implants can be a good option for replacing a missing tooth or teeth. Implants replace the root to support a crown, bridge or denture. Schedule an appointment to see if you are a candidate for implant treatment.